expressing themselves. 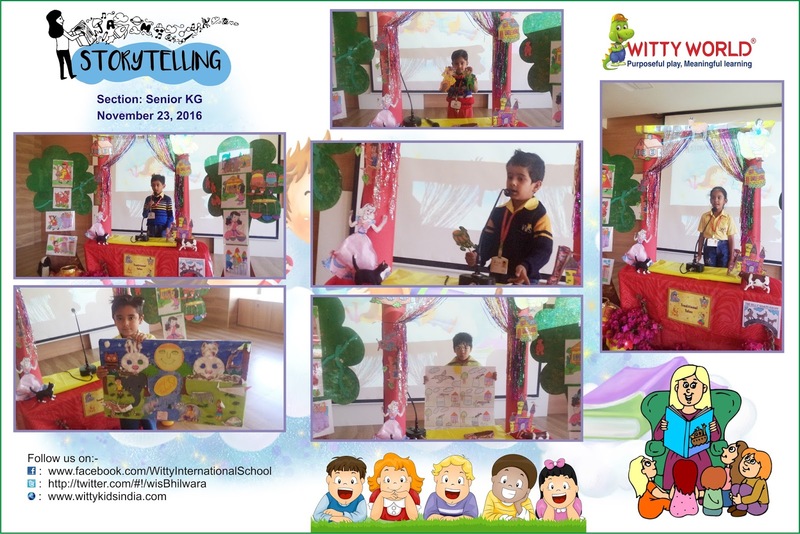 Children showed lot of enthusiasm and came up with lovely stories using related props and astonished us with their superb performance. The aim behind the activity was to inculcate reading habit, to mix around, to express oneself freely and to enhance our language skills.